We jumped on the bandwagon recently and ordered an Apple Watch for the lab. Here are our first impressions after a couple weeks with the device – check back for an in-depth review of the Watch’s potential as a fitness tracker, and also a medical device. 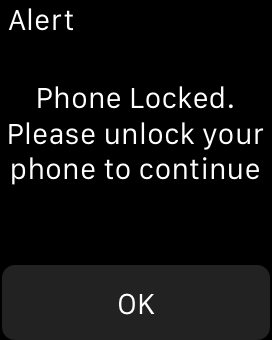 The Apple Watch uses Bluetooth 4.0 to communicate with the iPhone, which means you can only get about 30 feet away from your phone before losing the connection. This also means that using the Apple Watch will drain your phone battery before lunch. 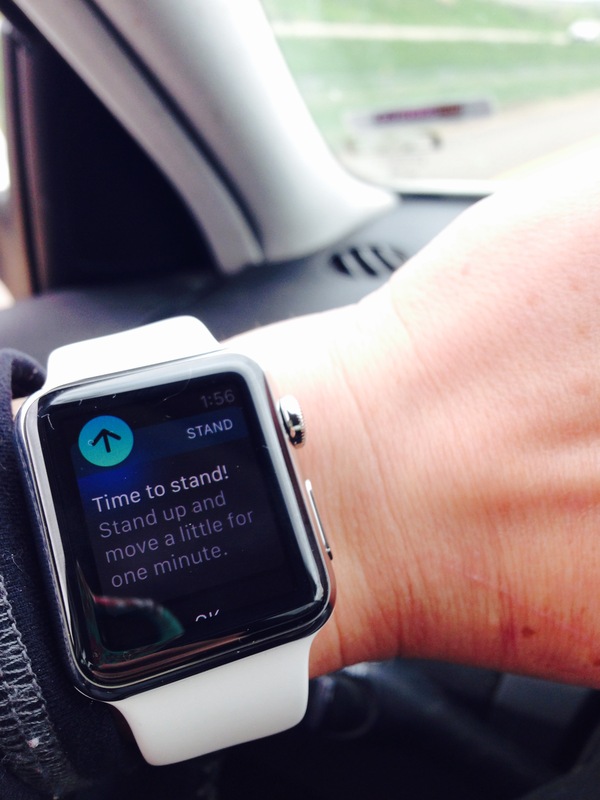 Taking the Apple Watch out for a day of hiking? Don’t forget your phone, and a portable charger (or two). Things are a bit better at home, when the Apple Watch can use a known WiFi network to improve its range slightly. This means that when your phone connects automatically to your home WiFi network, it can send signals to the Apple Watch over that network instead of Bluetooth. For practical purposes, this means I can leave my phone charging in the house while I’m out tending the garden; as long as I stay within WiFi range I can take calls from my watch. Perhaps the most useful thing about the Apple Watch is that it can page your missing phone (as long as it’s within Bluetooth range). Of course, it’s just as easy to do this from any Apple device using “Find my iPhone,” so it probably doesn’t justify dropping $500 on a watch for that feature alone. 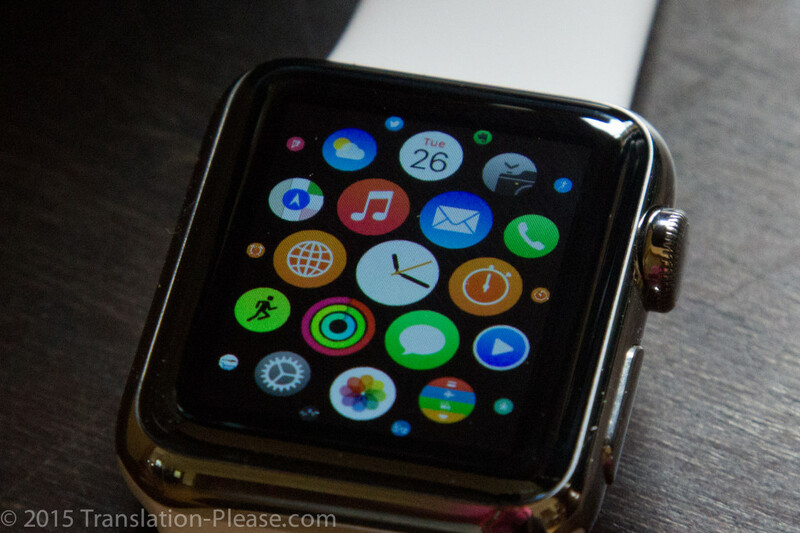 As a timepiece, the Apple Watch is hardly useful, because the screen goes black after a few seconds. There’s no discreetly checking the time during that meeting that you didn’t think was going to go so long on an Apple Watch – it requires an almost dramatic twist of the wrist (and sometimes a poke with the other hand) to wake up the screen. While it’s handy to be able to answer calls on the watch when your phone is out of reach, I found it incredibly stressful to have two devices ringing whenever a call came in. And I started wondering: Are we really without our phones often enough to justify such a cacophony of alerts every time? I can only imagine how this will play out in office buildings and movie theaters. For me, the defining moment with the Apple Watch came shortly after I strapped it on my wrist and headed down the interstate. I started navigation from my phone, and the Watch picked it up and started making turn signal noises every time I approached a turn. The layering of sound effects over my own turn signal, coupled with the verbal directions on my phone, was irritating to say the least — and even though the Watch displayed the next turn on its screen, the small size made it difficult to see while driving. Maybe I expected too much from the Apple Watch, but I think a device that a) is giving me directions down the freeway and b) contains an accelerometer, ought to know better than to cheerfully remind me to stand up at that particular moment. We’ll need to devote a whole other post to this topic, because let’s face it – there are a lot of problems here, and snark can be fun. With all the excitement about HealthKit and the Apple Watch, we hoped for a device that would seamlessly measure and record data from all our activities. This isn’t that device. Instead, the Watch is basically a glorified pedometer that won’t register a 10 mile bike ride as exercise, but will award me fitness points for an hour of drinking wine. Stay tuned!